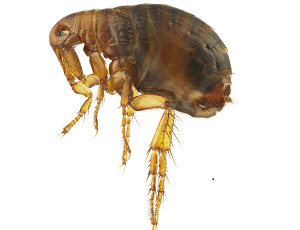 Fleas are wingless insects with mouth parts adapted for piercing skin and sucking blood. According to researchers, flea populations are evenly distributed, with about 50% eggs, 35% larvae, 10% pupae, and 5% adults. This means that if you see fleas in your home, you are only seeing 5% of the total amount of fleas infesting your home. 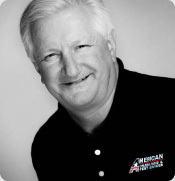 A trained inspector will identify the type and severity of the infestation. Once an infestation is identified, your inspector will provide you with a custom treatment plan to remove fleas and return your home to a safe and sanitary condition. Treatments for flea infestations include treating carpets, rugs, and infested furniture. Getting rid of fleas is a process that demands expertise and patience. While a significant number of fleas are eliminated within the first few months, it can take up to a year to completely eliminate a large infestation. Regular treatments will ensure total elimination of fleas in your home and will keep them out, guaranteed! If these steps are followed, we guarantee your home will be free of fleas. If they find a way back into your home on our watch, we’ll get rid of them!